As Co-Founder of the company and Chief Executive Officer, Brian’s role is to provide strategic direction and operational focus to the development and growth of the company. He plays a key role in the company’s go-to-market strategy and overall revenue growth. Brian has over 25 years of business experience in building and growing companies, including extensive experience in developing and implementing software solutions. He previously built and exited two companies including a consulting firm that was an Inc. 1000 fastest growing company awardee. Brian has also received two Smart CEO Future 50 Awards and previously named as a Distinguished Gentleman of Nevada. He has also assisted with the creation of a new charter school in an underserved area of East Las Vegas. Brian has also been a guest lecturer at Baylor University (TX) and other prestigious business schools. He is currently a guest lecturer at the University of Nevada, Las Vegas and also an expert speaker and author on process improvement. Brian’s passion is to build a highly innovative software company that will change the way people learn. As the President, Chief Technology Officer, and Co-Founder, Ralph is the true visionary and driver of the Socrates Learning Platform. He has in-depth knowledge of software design and programming, analytics and data science, as well as how to build a successful software company. Ralph also has over 15 years of experience in building and delivering advanced analytics and business intelligence solutions. He also has significant experience in leadership roles within start-up businesses and helped deliver an eight-fold increase in sales growth in his last company. Ralph has published three books and written over 80 articles on data science topics. He is also the named inventor on various patents and patent applications, including for Socrates. Previously, Ralph was recognized in the Best Practices Awards by The Data Warehousing Institute. Ralph has two Masters in Mathematics (The University of Chicago, IL and Princeton University, NJ) and a Ph.D. (University of Nevada, Las Vegas). Ralph’s passion is creating great software. As Chief Marketing Officer, Mukesh is responsible for the sales and marketing activities of the Company. His role includes distribution and channel management, sales management, brand management, marketing communications (including advertising, promotions and public relations), market research, product management, pricing and risk management. 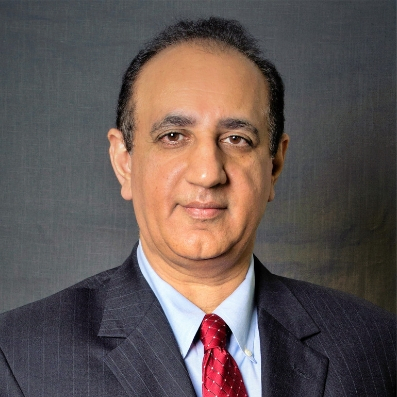 Mukesh has over 25 years of experience in business development and go-to-market strategies, with a focus on delivering tangible revenue increases and improved market share. He is well versed in product management and has successfully established and managed numerous channel partnerships and successful sales strategies. He is highly experienced in working in start-ups and growing them into highly-successful enterprises. Mukesh has a Bachelor of Management Studies (Economics and Marketing, University of Waikato, New Zealand), a Certificate of Business Studies and formerly held Bankers’ Institute qualifications. Mukesh has been involved in the formation of various patents and has contributed to published articles. In a previous role, Mukesh was instrumental in that company winning over 20 international and industry technology awards for innovation, excellence and business transformation. Mukesh’s passion is to promote, promote, and promote Socrates around the world. As the VP Curriculum Design, Grace’s focus is to create an extensive and outstanding portfolio of school curriculum content. This content, coupled with Grace’s real-life classroom experiences, help deliver a solution that is not only fun but easy-to-use and time-saving, for both teachers and students. Grace is recognized as a classroom innovator having spent her much of her teaching career focused on technology-enabled learning in the classroom. Grace has also introduced numerous enhancement programs to aid the learning process for school students. As an avid gamer and game-designer, Grace also provides valuable insights into how content can best be delivered for maximum results. Grace holds a BA English, BA French (University of Nevada, Las Vegas) and a Master of Education (Sierra Nevada College). Grace sits on the Futuro Academy board of trustees where she is chair of the Academic Committee. Grace’s passion is to build smart content to better support teachers and to help the student learning process. As VP Customer Services, Zachary is responsible for ensuring all aspects of customer engagement and delivery processes (including organization set-up, training, and support) are effectively and efficiently managed. As a recognized leader in software development and implementations, Zachery has managed and provided pivotal solutions to both healthcare and educational organizations. With over 10 years of hands-on experience, his creativity and drive to solve problems are a powerful force in delivering outstanding customer service. Zachery is the Chairperson for the Nevada Healthcare Technology Association. Zachery’s passion is to deliver, deliver, deliver! As Director of the Socrates STARS Program, Candy has overall responsibility for the growth and success of the Socrates STARS Program. As part of her role, Candy recruits, trains and supports new STARS to ensure that they are successful in the shortest time possible. The Socrates STARS Program is an innovative program that allows individuals to become actively involved in promoting Socrates to schools, libraries, and parents. The goal is to spread Socrates across the country and then, across the world. Candy has previously built and sold a successful retail and e-commerce business specializing in educational toys and games. She is also President of an import/export company. As an educator, she has helped to teach languages to children and adults. Candy herself is tri-lingual, reading and writing Mandarin, Thai and English. Candy’s passion is to fill the world with STARS. If you think you have what it takes to join an innovative education technology team, contact us today.